CAIRO (AP) — Arab foreign ministers have backed Palestinian President Mahmoud Abbas’s appeal to the United Nations to set a deadline for Israel to end its occupation of lands captured in the 1967 war and make way for an independent Palestinian state. The Palestinian ambassador to Egypt, Jamal al-Shobaki, said Monday that the Arab resolution issued a day earlier calls for the Arab League chief to push the idea in the U.N. Security Council and other regional and international groups. Abbas floated the idea last month at the height of Israel’s 50-day war in Gaza as a way to refocus international attention on Palestinians demands for a state after failed efforts to reach a negotiated peace deal with Israel. More than 2,100 Palestinians were killed in the war, most of them civilians, according to U.N. and Palestinian estimates. Thousands of buildings were destroyed and tens of thousands of people were left homeless. Seventy-two people were killed on the Israeli side, including six civilians. The war ended with a cease-fire and a promise of more negotiations to end the crisis in Gaza. 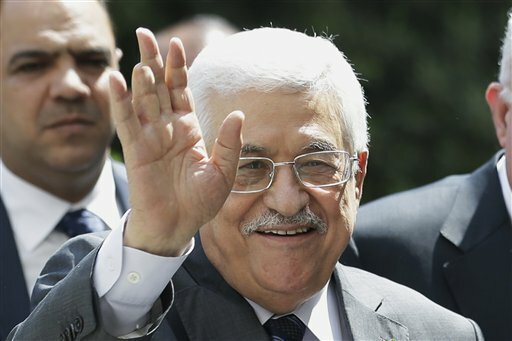 Abbas also was seeking a foothold back in Gaza, which was captured from his forces by Hamas seven years ago, and is eager to show the Palestinian public he is working to end the fighting and lead the Palestinians to independence. Al-Shobaki said the appeal to the U.N. is in line with other international resolutions in regards to the establishment of a Palestinian state and the recognition of 1967 borders as basis for negotiations. He said that an American veto is a possibility in the Security Council. With Israel opposed to the withdrawal to its pre-1967 lines, it will likely seek U.S. help in thwarting the bid.